Kindness melts away a lot of pain and sorrow. It puts people on the path to recovery! 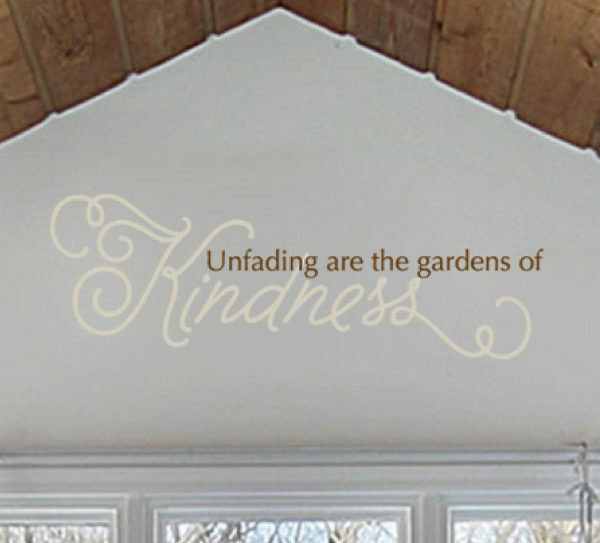 ‘Unfading are the gardens of kindness’ wall words are available from WiseDecor. They are wall decor that will look great on any wall space in your home! They look amazing in this dining room. They do hold their own against the breath-taking outdoors view. They tie in with all the furniture and accents in the room. The two colored wall letters are at home against the contrasting underlying wall. 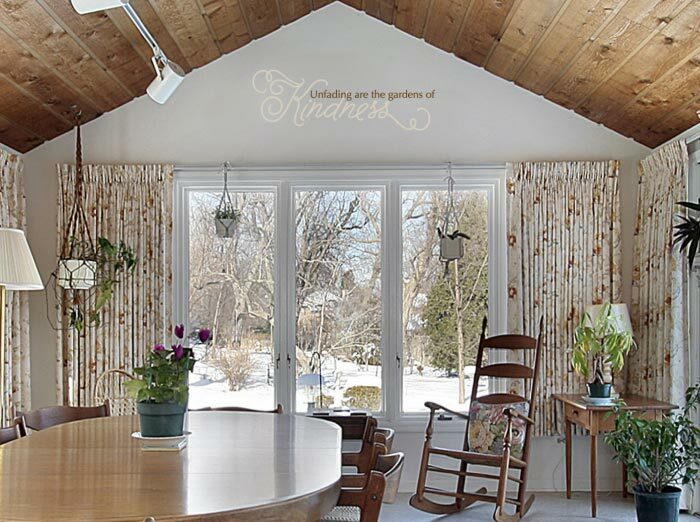 Friends and family will delight dining in a space that is a pleasant reminder on the effects of kindness! 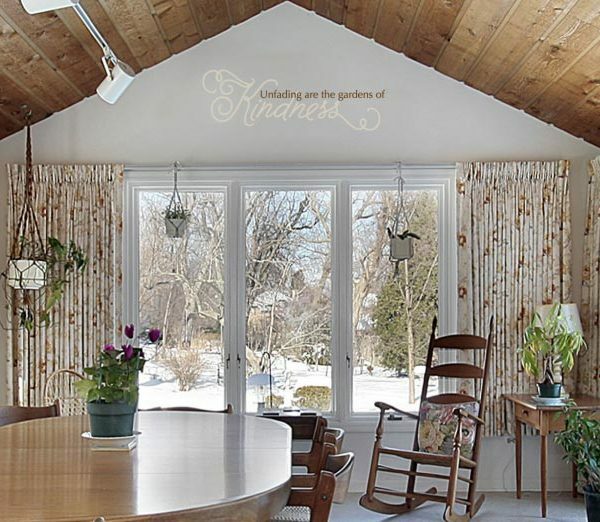 Are you looking for unique wall lettering to decorate the wall space in your dining room? Are you searching for the perfect housewarming gift? Well, try WiseDecor products. They are one of a kind: an excellent present! Apart from that, they are affordable. We even have a customer awards program where you get to earn points with every purchase. You may redeem your points or gift them: sign up! Our wall quotes are easy to apply. Simply peel the back sheet and paste the adhesive side of the lettering on to the wall. It is that simple! We have also applied matte on them so that they are useable even under strong light. You will be able to see and read them without glare problems! Get in touch. 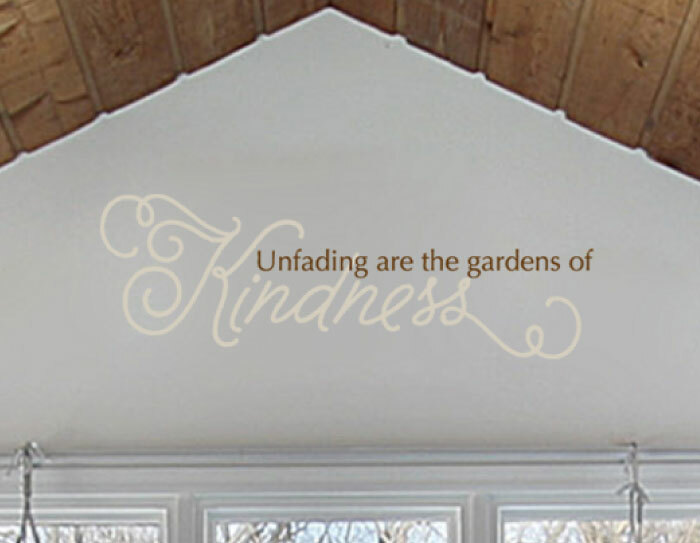 Let us help you decorate with inspiring wall decals.